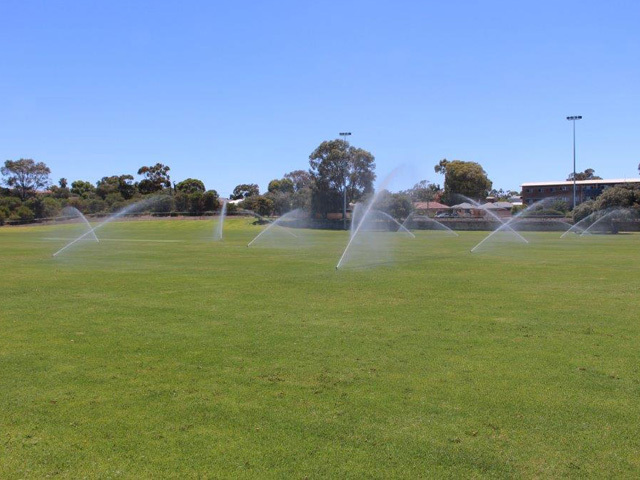 Tasked with overcoming strong weather conditions and operating cost concerns, Toro’s T7 stainless steel sprinklers were utilised in the upgrade of the irrigation system at Charles Riley Reserve with satisfying results. This City of Stirling iconic Charles Riley Reserve, one of the most popular reserves in Western Australia, is used year-round for activities as varied as lawn bowls, Australian Rules football, rugby (league and union), soccer and field hockey in winter, and athletics and cricket in summer. 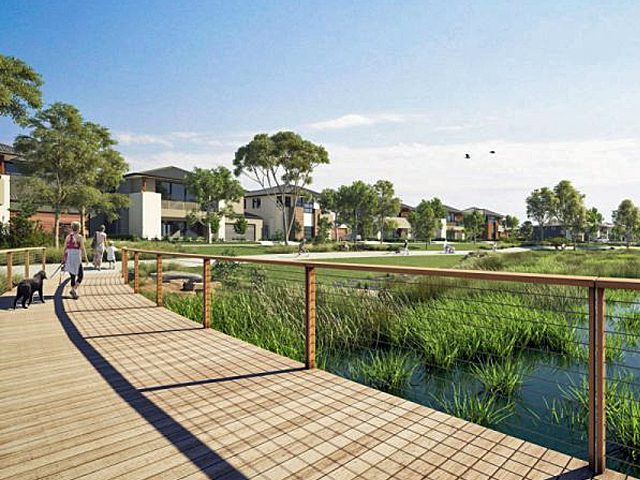 Parts of the reserve are also set aside for passive recreation. 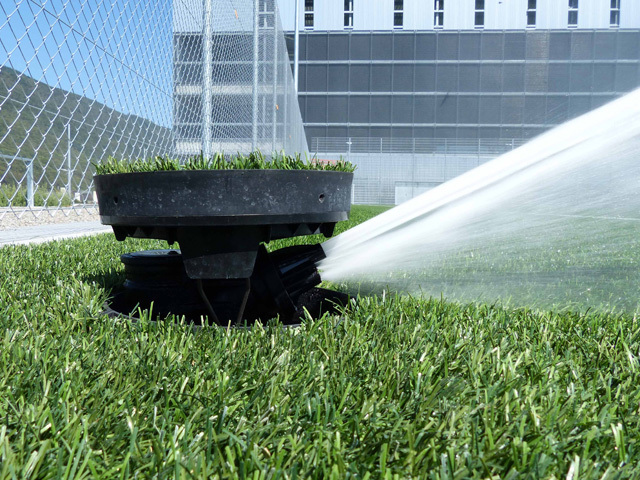 On the mostly sandy soils of the reserve, a key irrigation requirement is to keep the turf in good condition for all the sports played there. To help ensure the reserve continues to meet the needs of its users, the City of Stirling prepared a master development plan in 2008. 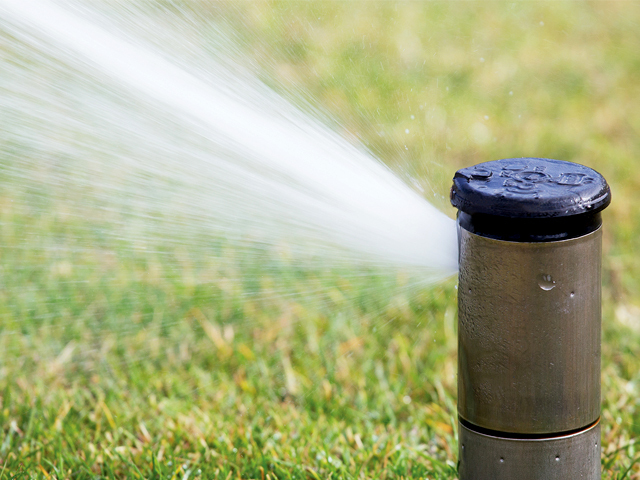 The City of Stirling carefully maintains its irrigation systems and has a program of monitoring operating conditions and costs. 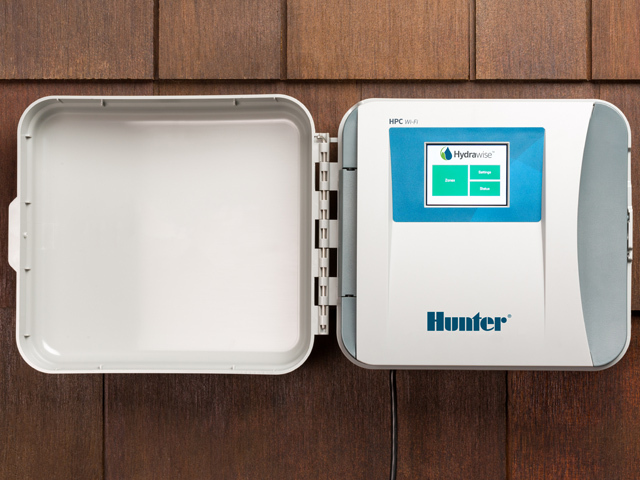 As part of this program, systems are replaced at least every 25 years - sooner if their performance indicates this is necessary. 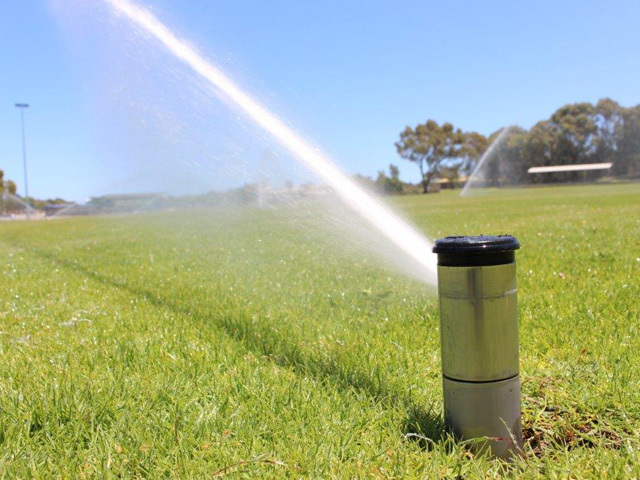 In 2016 it was decided to upgrade the irrigation system that was servicing one of the two major playing areas on the reserve. The reserves coastal location means it is subject to strong winds. 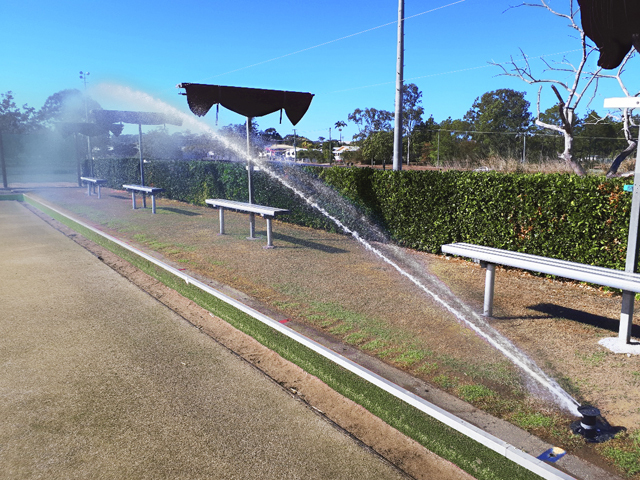 Sprinklers discharging larger water droplets were required to minimise evaporative losses. 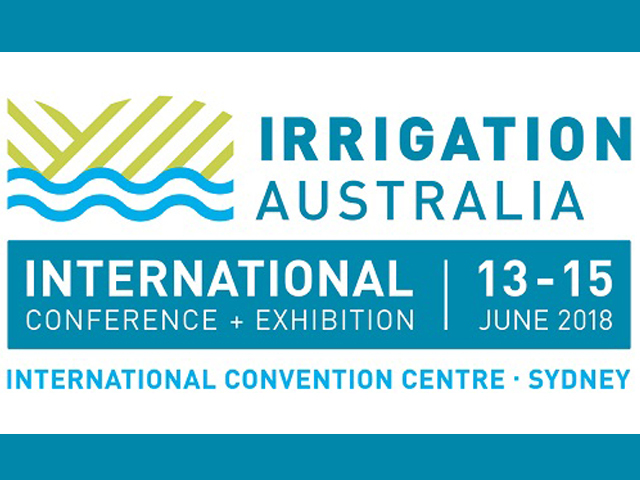 Heavy usage of the site from 6am till evening means the watering window is narrowed from midnight to 6am. As an electric pump is used to source bore water for the site, Council staff were keen to take advantage of the lower electricity tariffs that operate at night. While the capital cost of the system was important, operating costs were an equally important consideration for Council staff. 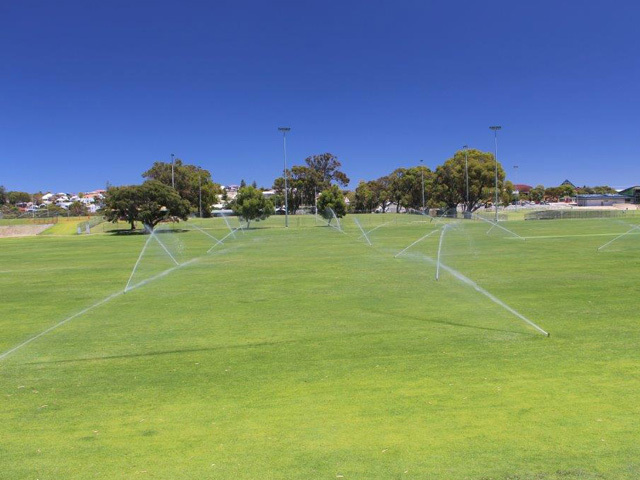 Council chose Toro T7 stainless steel sprinklers due to their larger droplet size - 16m throw and distribution uniformity - to combat the sites weather considerations and water this key reserve for the enjoyment of the community. Following installation, an independent auditor completed a catch can test of the site for the Council. Even though wind speed was 3 knots, a measured distribution uniformity of 85% was recorded, a result the council staff are delighted to have achieved. To find out how Toro can optimise your current or upgrade your obsolete system contact them today.